Status: offline This thread is to collect all the submitted Mods in one thread for ease to find. I'll keep a list of the submitted Mods in this top post as well. You can manually install the mods or use a program that handles it for you. JSGME is such a program and you can find a link to it below. 4. You are ready to go, start the game and play. Status: offline Please see the attached "Advanced Squad Leader" mod put together for Tigers On The Hunt. Updated 3/6/16 per a mask error on my part. Sorry. It's setup to use the "JoneSoft Generic Mod Enabler". Status: offline Please see the attached "Squad Leader" mod I put together for Tigers On The Hunt. Here my long work.I have not found better pictures for the gun.Someone is changed but all the other are only updated inthe background color. Status: offline Here the PNG file.simply copy the file into the folder Graphics. 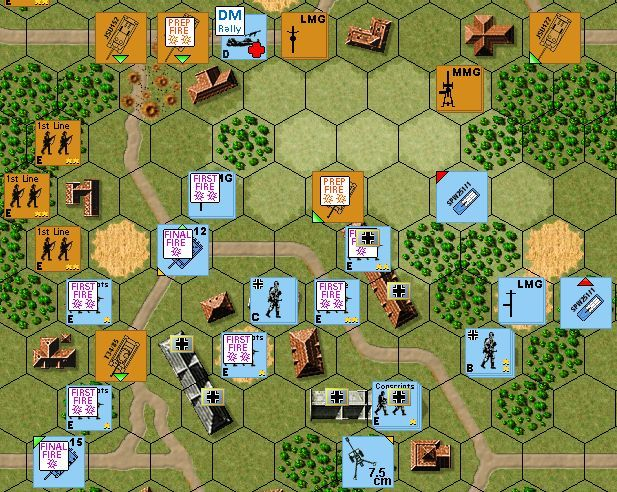 GregN added the MP data to the vehicles and now "small markers" for Fire and Morale. I will see what i can do in the next days.One question for Richi61.Have you applied transparency on the small counter?If i do the counter only smaller the program use the entire tile, covering with white the rest(i think). Status: offline Here the colorfull mod with the smaller marker used by Richi61(ASL marker).Is a mix beteween the 2 mod(hope that Richi61 agree). Please beckup your original and test this one. Status: offline thanks Acropora, do you know how to use your mod with the JSGME mod installer? First, I purchased the AH Squad Leader games when they came out in the late 1970s. That is context for what I am about to say because I have limited knowledge of modders and their ways. I want to download Richie 61's mod of classic SL counters. It looks like I need to down load and install "JoneSoft Generic Mod Enabler". I am guessing I can find that as free ware on the web. Then down load Richie's attached file which I am hoping is an autoinstall file that I click and the magic happens. If some very kind patient person could email me the steps to have this mod installed as if I had never seen a computer that would be immensily appreciated. 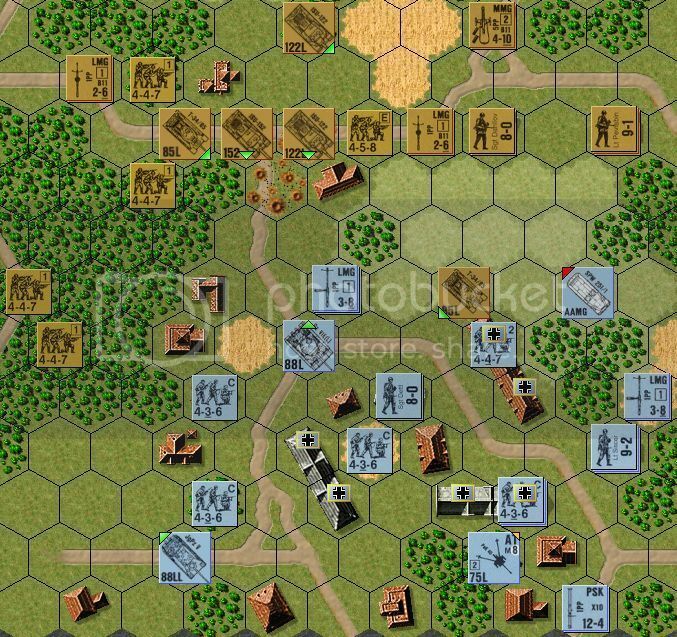 Also, as a wargamer going back to Milton Bradley's Battlecry and Broadside, the historical significace of the publicaiton of Tigers on the Hunt is not lost on me. We have been waiting 35 years or so for someone to do a computer version of SL right. 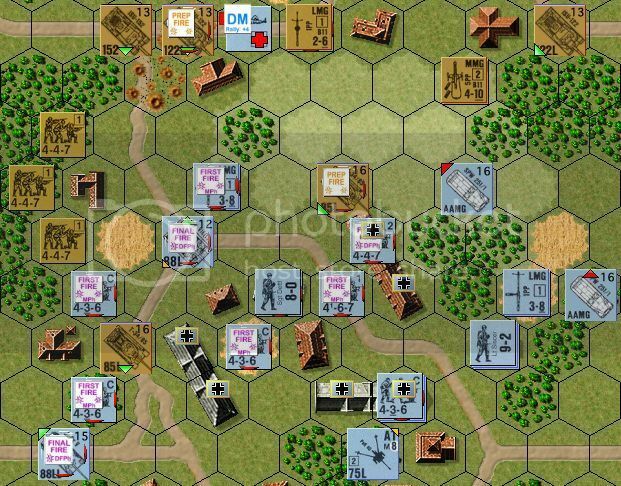 From my 20 or so scenairo plays of Tigers it feels very much like the original board game. I have unpunched copies of the original four SL games. I will be interred in a water tight sarcophagus with them to play in the after life. Many thanks to Richie, the counters are brilliant. Post #19 has a copy of JSGME. Then read this. It's really easy. Well at least make a backup copy of your terrain file first. 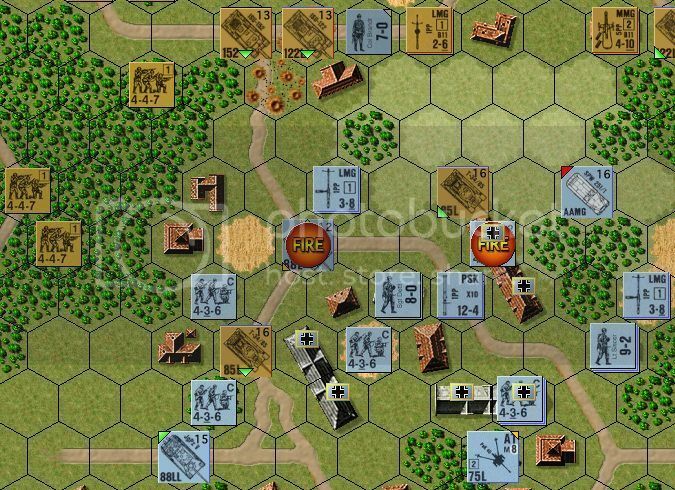 Status: offline Please see the attached "Squad Leader" version 2 mod with small counters and JMass's VASL terrain for Tigers On The Hunt. BIG THANKS to JMass for letting me use his VASL terrain! 2 men are fully squad and 1 man is a half squad. Glad you got your posting deal fixed! Keep up the great work all, we have a great game here with a great community making it even better each week. idjester, love the videos you do and Richie61 is an ASL mod machine. FYI, the JSGME MOD Enabler link at Cougar_DK is dead. I went to Jonessoft website but could not find program. I went out on the web looking for it. All I managed to accomplish there was to download malware into my root drive. Now I have an algal bloom of pop-ups trying to rip me off. If possible please send me a link to the most recent version of JSGME MOD Enabler. Status: offline Richie61, not sure if I told you this in the the development forum but you have done some fantastic things. I will be 50 in two weeks and this game is THE game I have wanted since 1982-a computer version of SL. YES, I know it is built on ASL, but who cares. I did love ALS by the way. Thanks. Got it. Will give that a try. Status: offline Sorry. I brain works faster than my fingers. I never thought I would be OLD. LOL 50 does not seem old anymore. Both my sons, 28 and 26, loved playing the board game when they were young teens. Both have also bought Tigers on the Hunt and they are amazed. Evan, 26, said his wife is annoyed that he has a new "just one more turn game". You are just a young lad! !